I kind of figured out mid-way through the year what my next planner was going to be. 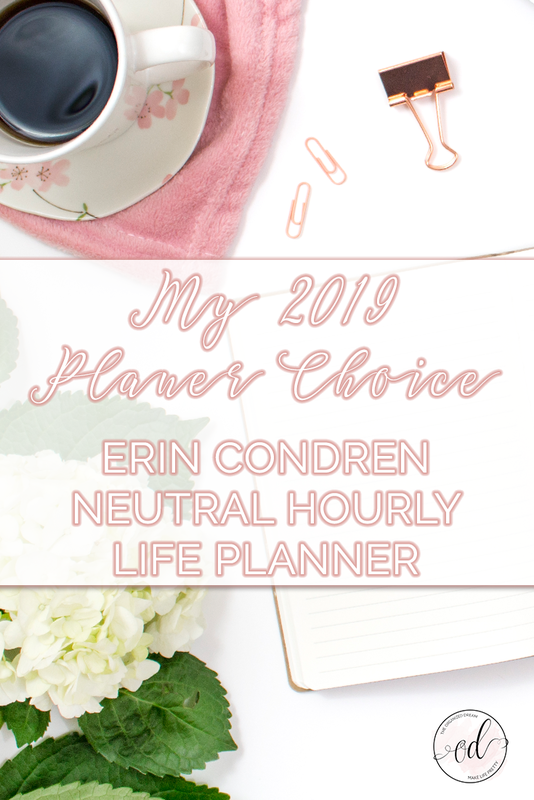 I had seen only a handful of people use the Erin Condren Hourly Life Planner, but I loved the set up and thought it was well worth a try. There were a few reasons why I love this planner. Here's my thoughts. The main reason why I love this set up over the vertical or the horizontal is because it's one continuous column for me to keep track of everything in list form. I tend to plan based off creating lists and I never really liked the way it worked in my Carpe Diem horizontal. 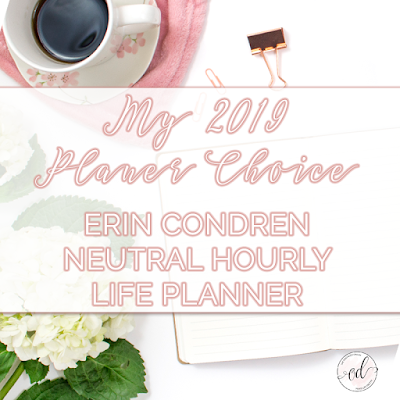 While the Erin Condren Life Planner isn't the largest of planners out there, it is larger than the A5 Carpe Diem I am using now which means that I have more space to write down plans, thoughts, lists and track daily things like weather for instance. I never really found a great way to utilize the space in my horizontal planner. I thought I never had the room for it. If you're into planners like myself and use the space to the maximum, you know that your days can fill up quick! I did find it fun to decorate my Carpe Diem, but always had to adjust the stickers I wanted to use because they didn't quite fit. Since most planner stickers are fit for the Erin Condren Life Planner, this was something that I couldn't really avoid. One of my most favorite things to do with my planner is to make it functionally decorative. It makes me want to use my planner and it's pretty to look at - the best of both worlds! My goals for this planner in 2019 are pretty simple. I am hopeful that with the extra space this hourly planner will offer, that I will be more productive and feel more comfortable using my planner on a daily basis. 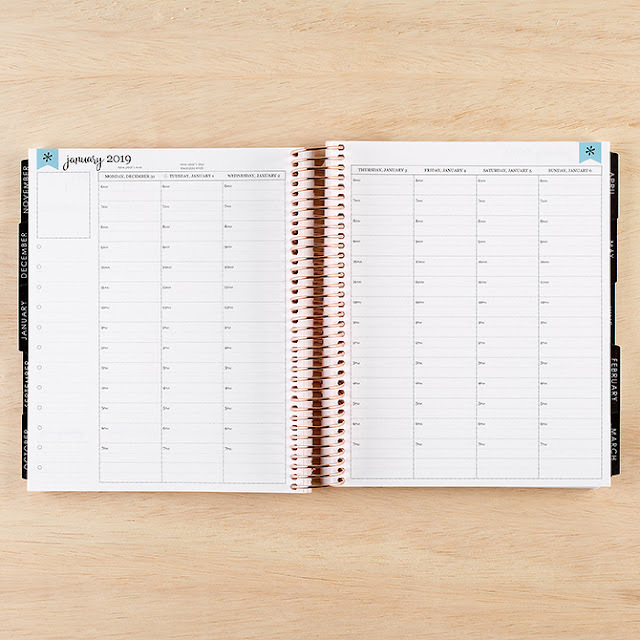 What planner system are you looking forward to using in 2019? Share them in the comments below! 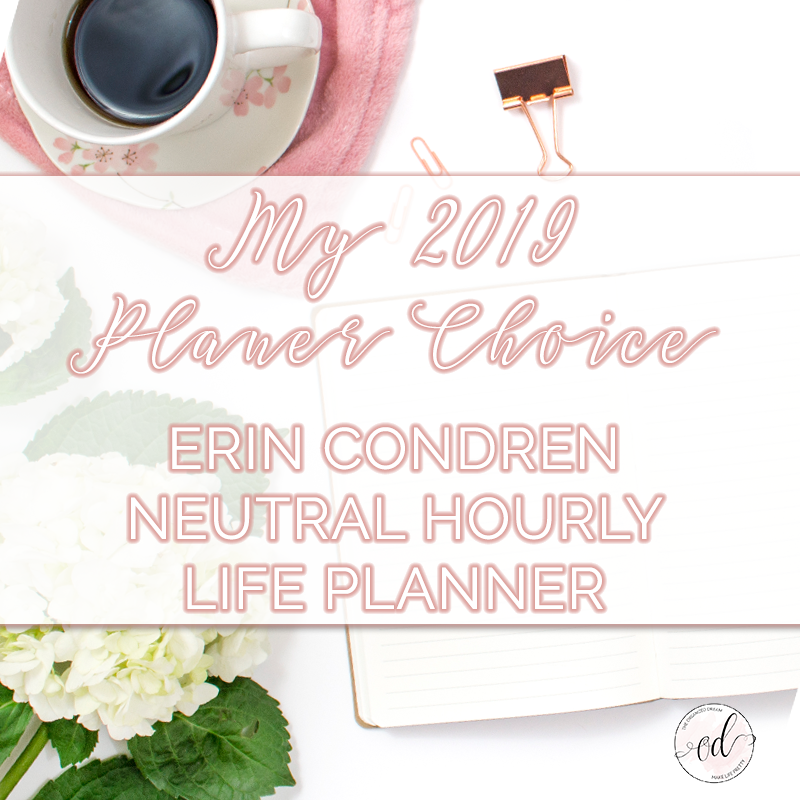 Want to try the Erin Condren Life Planner for yourself? 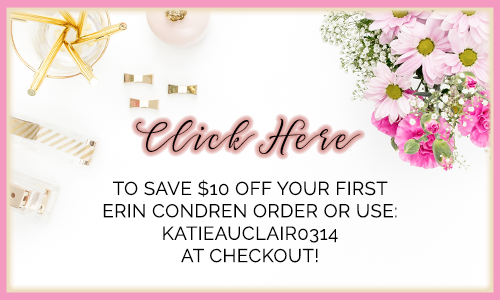 Score $10 off your first purchase below!